Pervious concrete pavement is a unique and effective means to address important environmental issues and support green, sustainable growth. By capturing stormwater and allowing it to seep into the ground, porous concrete is instrumental in recharging groundwater, reducing stormwater runoff, and meeting U.S. Environmental Protection Agency (EPA) stormwater regulations. In fact, the use of pervious concrete is among the Best Management Practices (BMPs) recommended by the EPA—and by other agencies and geotechnical engineers across the country—for the management of stormwater runoff on a regional and local basis. This pavement technology creates more efficient land use by eliminating the need for retention ponds, swales, and other stormwater management devices. In doing so, pervious concrete has the ability to lower overall project costs on a first-cost basis. 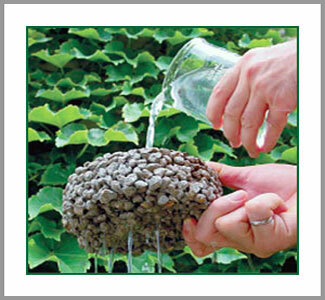 See Video and TV News Reports on Pervious Concrete in action! See Green Building Technology in use at St Anne's Belfield Middle School, VA: Click on "Green Features"
A joint project between Allied Concrete and VRMCA. Virginia’s leading science museum has created a permanent indoor exhibit water management, supported by demonstrations and examples on the museum grounds including pervious concrete. Roanoke Cement, a Titan America company, provided support to museum to ensure strong representation for pervious. Museums such as this provide ongoing education to state residents and especially help children get an early understanding of how applications such as pervious concrete are of benefit to their lives and world. The program is designed to be administered locally by local sponsoring groups in conjunction with planned training sessions or demonstrations of pervious concrete placement. NRMCA provides certification exams and performance evaluations to approved local sponsoring groups for administering the certification. Take a detailed look at the growing role played by ready mixed concrete in green building design and construction, including an overview of the LEED Green Building Rating System. With a free copy of NRMCA's Concrete Pavement Analyst (CPA) software, learn to produce detailed life-cycle cost comparisons of concrete and equivalent asphalt pavement designs. Learn about pervious concrete pavement systems, engineering properties and construction techniques, including specifics to consider when drafting pervious concrete specifications. These Webinars are AIA—registered and earn Professional Development Hours for participants.